SEO services & support for clients in Surrey, West Sussex and beyond. Worrying about SEO? Stop it right now! 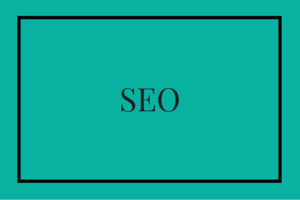 I’m not saying that you don’t need to be aware of your SEO performance – you absolutely do! What you don’t need to do though, is worry. The Original Wordsmith provides a full SEO services ranging from SEO consultancy and SEO Copywriting through to SEO website edits and analysis, to check that everything is as it should be and you are not at risk of any nasty penalties from Google. In addition, I keep track of your website and those of your competitors. There is nothing more rewarding than appearing above your closest online competitors in the search rankings and I know how to put you in the best position to make that happen! As an SEO business I like to distinguish myself by focusing on the bigger picture. I know how to get quick wins but I’m just not interested in them. The last thing I want it to make myself look good, only to get your site smacked with a penalty from Google. I am only concerned with providing the best long-term solutions that are legitimate, not frowned upon and will genuinely have a positive impact on your business. Trained by one of the UK’s most prestigious SEO and Digital Agencies, I have a strong knowledge of SEO copywriting and I can advise on, or implement, content strategies and copywriting techniques that will get your website found. If you’re looking for SEO support across Surrey, West Sussex or beyond, look no further and click to contact me.